A New Adventure of Walt Disney's Snow White and the Seven Dwarfs was a 32-page full-color mini comic book issued for the 1952 Bendix Home Appliances promotional campaign. Newsprint paper. 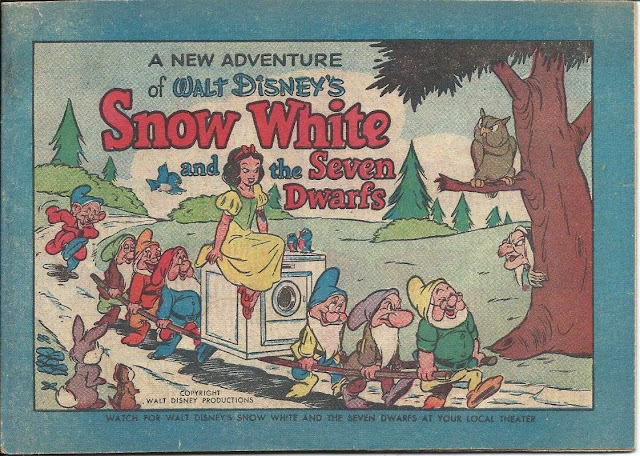 Measures approximately 7.25" x 5". 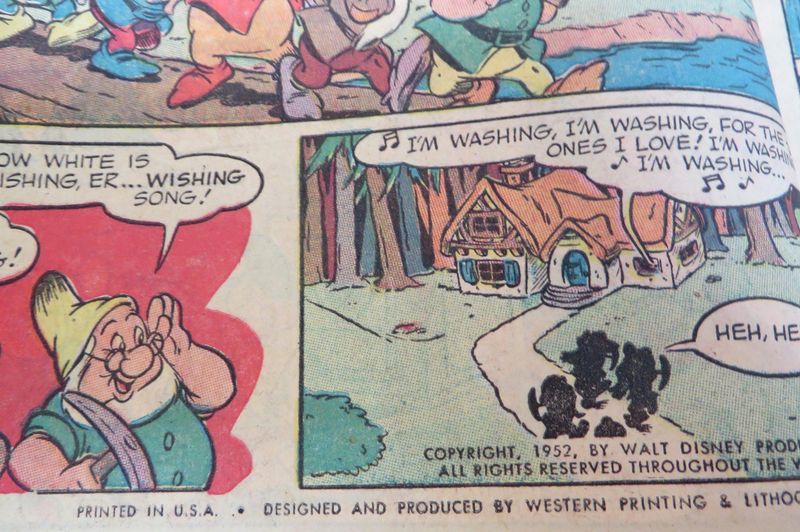 Published by Western Printing and Lithographing Company of Racine, Wisconsin. 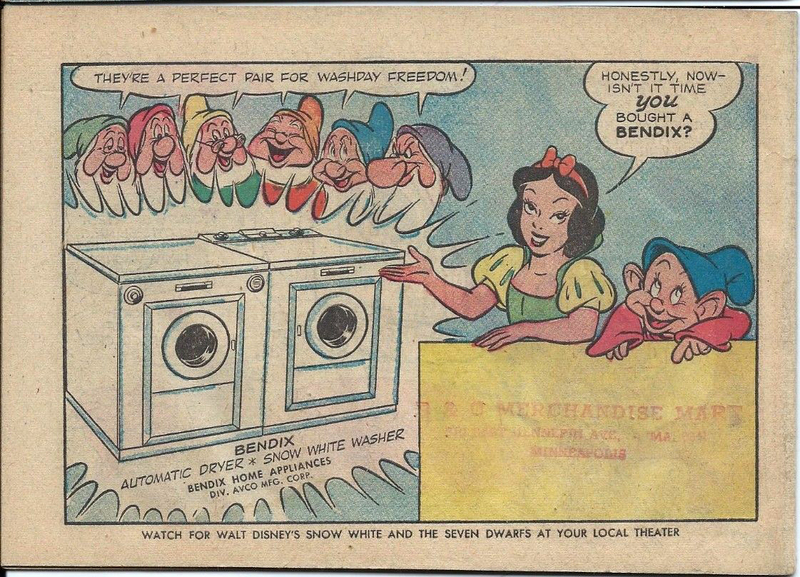 This free give-away premium tells the story of how Snow White came to get a Bendix washing machine in order to make her work of laundering the dwarfs' clothes a bit easier...a real 1950s "housewife" kind of concept to be sure. Individual appliance dealer information is usually found stamped on the back cover. Illustrations and text copyright Disney, 1952. Posted here for historical documentation purposes only.